Not a lot to this one, other than the obvious: Always always turn off the circuit breaker when you’re doing anything electrical. Turning off the switch is not enough. Some homes are wired to pass electricity through an outlet even if the switch is off, by passing a second “hot” wire through. You can short out other things in your home and more importantly hurt yourself! 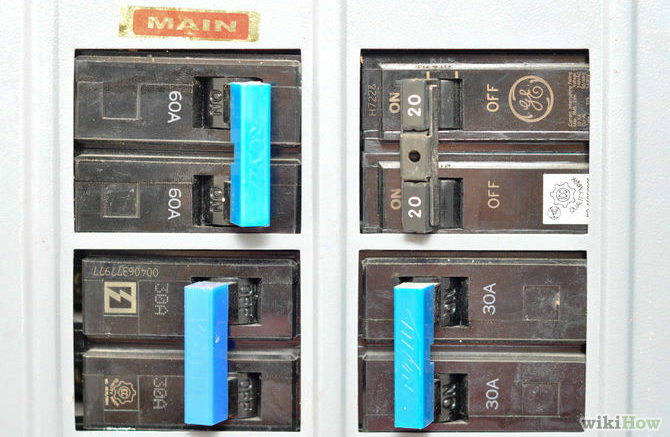 If you’re not sure which breaker goes to which outlets, it’s a good time to get out there to the breaker box and figure it out. It’s easy if you have a friend inside the house who can help you, that way you don’t have to run back and forth all the time. Even simple repairs can turn into a nightmare unless you flip that breaker… listen to your friendly blogger, he’s been zapped once or twice and it wasn’t fun!